Chinese medicine has a whole different approach to medicine: it’s no wonder Westerners are now giving more thought as well as recognition to the different treatment methods under TCM. Chinese medicine approaches medicine and human wellness from the perspective of the natural energy coursing through our bodies – Qi! Whenever there is an imbalance in this energy: when Qi is depleted or in inadequate amounts in some parts of the body, it results in a state of queasiness. Addressing the sickness is, therefore, a matter of finding ways to restore the lost balance. This goes for weight problems too. An overweight individual, according to a Chinese physician, has a deficiency of the vital energy in the spleen and stomach. This leads to lower metabolism thus water retention and weight gain. When the stomach lacks the required energy to process and digest excessive foods, the latter will only build up leading to an obese situation. So, what do you need to know about traditional Chinese medicine in addressing weight loss problems? From addressing musculoskeletal problems such as back and neck pains to addressing anxiety, depression, nausea, migraine as well as infertility, the uses for acupuncture just seem to be endless. Furthermore, it offers a level of body relaxation as a result of repossessing the body’s vital energy which has patients going back for more therapies. The needles are usually applied to selected pressure points which have a direct effect on the metabolic rate. What’s more, it also addresses overfeeding by controlling appetite levels and effectively invigorating the spleen. Book your acupuncture therapy session and see the power of TCM for weight loss. It’s already confirmed: polyphenols from green tea, oolong tea and black tea among others go a long way in increasing weight loss and general fat burn even when there is a constant intake of a high sugar diet. There are different types of Chinese tea in the market all promising to deliver quality results in weight loss. Do your research and even try out the different options to find the one that appeals to your taste buds as well works for your body. Traditional Chinese Medicine offers a wide range of options in addressing illnesses which all have different levels of effectiveness – they all seem to deliver the results nonetheless. An ancient literature has indicated and suggested over 100,000 medicinal recipes from the roughly 13000 medicinals already recorded. As a matter of fact, some uses of these herbs are yet to be identified and most are still under study. That notwithstanding, there is already valid research on herbal traditional Chinese medicine used for weight loss. These recommended herbs can either be put in foods, varied drinks or simply taken as advised for optimum results. Try to find the exact extracts that will deliver the best weight loss results from a medical practitioner or online. Spoiler alert: if you thought you would just sit and let traditional Chinese medicine magically perforate through your system as you do nothing, then you’re in for a big, nasty surprise. Chinese experts have a higher value for proper body care and maintenance. You will be recommended to follow through various exercises, especially if you are fighting off a weight menace. You might as well take this tip to heart earlier on and start implementing through simple daily practices for a fit body. You could be the source of your disheartening weight challenges through your excessive food intake. If you choose to be oblivious of the quantities consumed, you are likely to spike off a rise in Phlegm and heat levels in your body. This will result in a strained digestion process which works to your disadvantage of course. Try avoiding sweet foods, raw and chilled foods and even chilled beverages which might all contribute to this state. 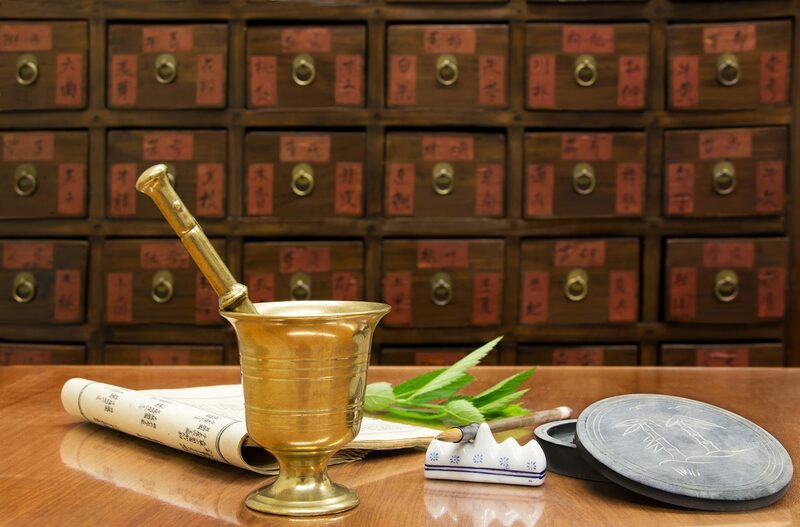 Traditional Chinese Medicine is a form of holistic medicine that tries to find the root problems to illnesses. It also believes that the body is fully equipped to handle such situations and restore itself to its best state. It, therefore, comes into the picture to just aid the body reach this state. TCM also believes in a healthy lifestyle as well as a balanced diet to boost a healthy spleen and minimize digestive challenges that may result in excessive weight. A balanced diet will also bring about equilibrium in Yin & Yang; it’s essential to first understand your body constitution if you are to follow a proper diet for energy balance and weight loss. Since we have already established that a low Qi allocation in your storage tanks will prevent proper digestion and hence weight gain, your meals should ensure that you not only replenish your energies but you also prevent the same from disappearing. Habits that will automatically drain you of your much-needed energy include skipping breakfast, eating cold foods, overeating, consuming iced drinks and raw foods such as salads. Your body is probably retaining more fluids than it should, hence your condition. To reverse this, certain herbs with a warm energy and pungent taste such as Coix Barley (Yiyiren, 薏苡仁), Inula Flower (Xuanfuhua, 旋覆花) and White Atractylodes (Baizhu, 白术) will increase perspirations and also induce urination. Frequent exercise accompanied with proper water intake will also have a similar effect. Also called the divine gate, the ear has been associated with 5 key acupoints according to TCM: spleen, stomach, endocrine, hunger, and the master-point. When induced, it works the same way as full body acupuncture. There are already established weight loss programs which will be heavily beneficial to you. Centers such as TCM Shanghai address weight loss through programs that will help you detoxify, unblock the meridians for improved flow of Qi, increase metabolism, boost the flow of blood and also ensure your objectives are fulfilled without loosening the skin. Abnormal weight is slowly becoming a major catastrophic challenge in the medical world due to the increase in unhealthy quick bites and junk. It’s therefore left to us as individuals to maintain our own health or risk falling victims of obesity. It’s better to address your weight when it’s still in manageable levels other than wait for the onset of obesity. Traditional Chinese Medicine will prompt you to learn to listen to your body; we, on the other hand, will urge you to do this and put extra effort while you’re at it.